Mobile applications are an excellent way to interact with customers and enable mobile workers to access line of business information in real time, whilst out in the field. Art offers a range of mobile application development services across a wide range of platforms and devices including PDAs, hand held PCs, portable media centres and Smart Phones. 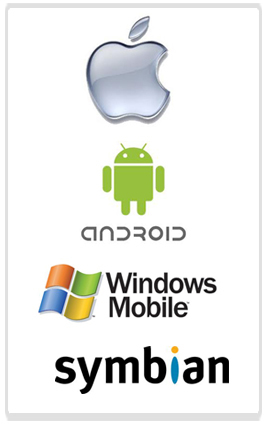 If you are an organisation that own or is planning to invest in mobile handsets running Windows Mobile, Symbian, iOS and Android operating systems, we can create versatile applications that are affordable to both small and enterprise organisations. Applications can be designed to fully integrate into existing business processes and databases, enabling mobile workers to access information securely and in real time, improving efficiency, productivity and competitive advantage. Centralised software deployment management is also available, enabling organisations to create and enforce operational policies and support user devices whilst in the field, gathering critical information at the touch of a button. We also develop websites for use on mobile devices.